Cute.. but I wanted bigger! Lately I’ve really been into do-it-yourself projects, so I thought this would be the perfect time to do a step-by-step tutorial for my first DIY chalkboard. I made this one for just about $10- and I bought larger sized items (to use for future projects as well) so you could probably do this project for $5 if you want! To begin, I popped out the picture which was fixed onto a fiberboard backing- this part will become my chalkboard. I set the frame aside. You don’t have to separate the frame and board, but I did to keep things as clean as possible. 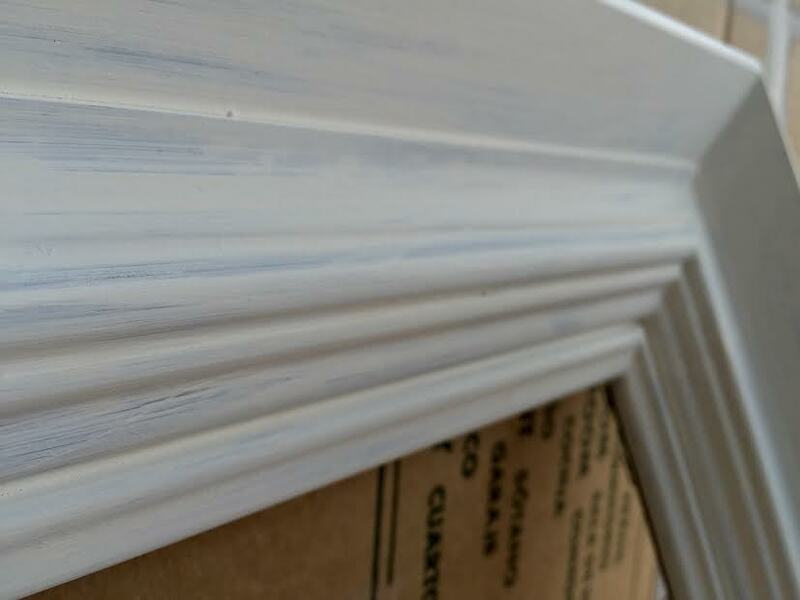 I’ve also heard of applying the chalkboard paint directly on glass (if you’re using a large picture frame), but I’ve also heard of it peeling off when you go to erase your chalk… and I didn’t want to run into those issues- I don’t have time for that! I cleaned off the picture fiberboard with alcohol and let it dry for a few minutes.Then I shook up the chalkboard paint and applied it to the board. I ended up doing two layers, one with my strokes going left to right, and one going top to bottom. This allowed for the most even coverage. I let it dry for 2-3 hours as the bottle directed. You can see my first layer of paint drying below on the left.. and then the second picture it’s all dry. Now we need to condition our chalkboard. Conditioning helps so you’ll be able to erase more easily, and won’t see the aftermath of chalks past. Here’s a good example of what happens when you don’t condition- and this is after scrubbing! 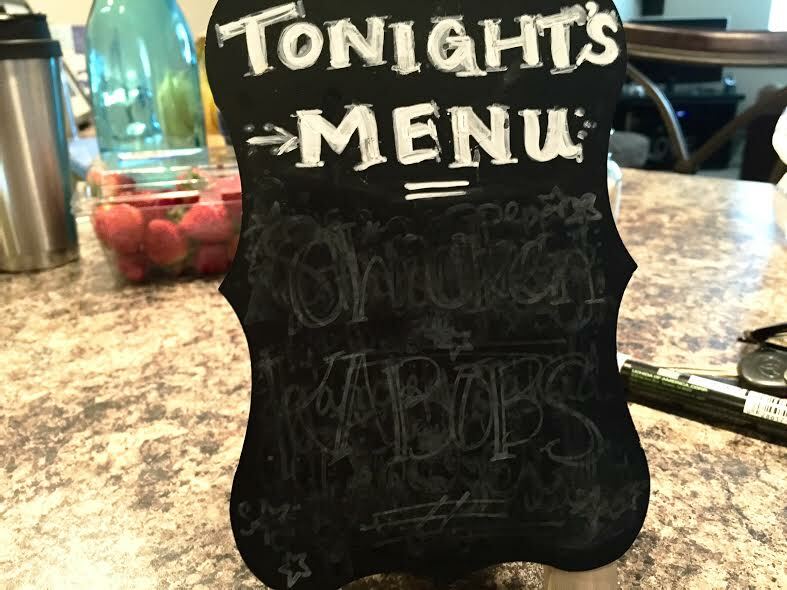 How obvious is it that we had chicken kabobs last night? To condition your board, take a piece of chalk and run it lengthwise all over the board. Then wipe it away! Now the board is more resilient and looks a little less perfect, and I prefer it that way! Next I grabbed my frame and went to work. Again I used the alcohol to wipe off all the dust and cobwebs and who knows what was on there. 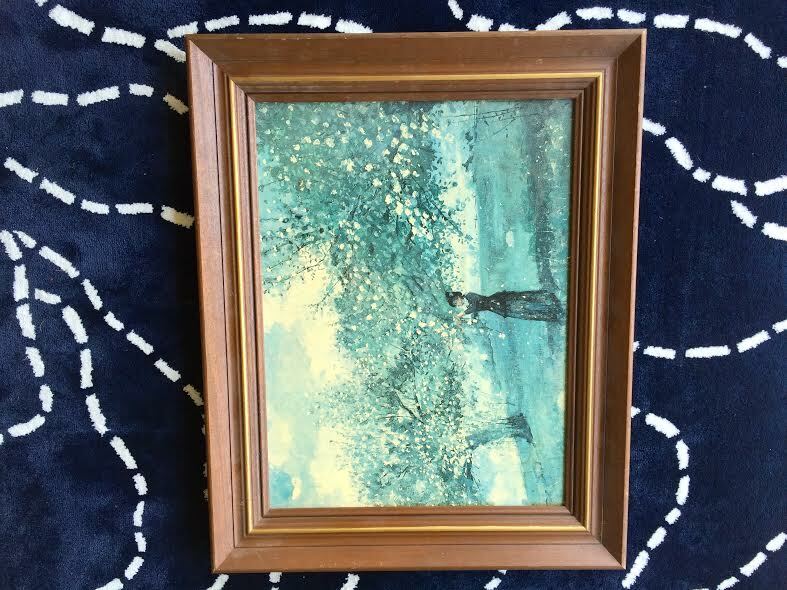 Then I painted two coats on the back of the frame, and two coats on the front, letting it dry about an hour in between (I used a quick dry paint). Painting was so easy and quick- I almost did a third coat- but I decided not to once I saw the finish after two coats. I love how there’s some dark peeking through, it looks slightly rustic and soo pretty..
Let me know if you plan on trying this and how it goes- I hope you have as much fun as I did! This diy is so cute & would look perfect in my bedroom! Yes! I’m obsessed… I want to put these in every room ;)! Good tip with the conditioning. I’ve recently made a board as well, but luckily I forgot to buy chalk so I haven’t written anything yet. Now I can use your tip! And I know what you mean with wanting to paint everything. I want to make my entire studio into a chalkboard! Great idea. I was bought a cute little teapot chalk board for my kitchen but it’s not big enough for much. I could find so many uses for this! A teapot chalkboard sounds adorable! I hope you make another one this way 🙂 it’s fun! Yes! 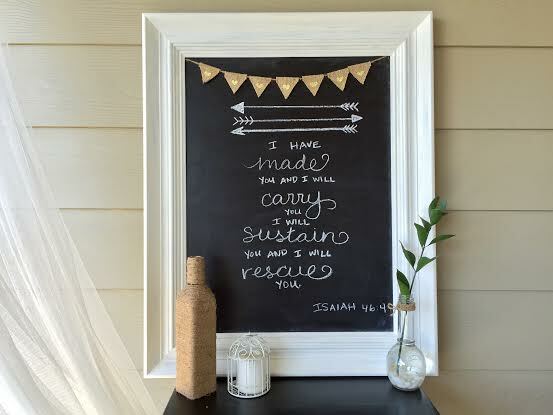 I just made three more chalkboards this week 🙂 and I made the same exact mistake at my wedding- you’re not alone! Awesome idea! I love it! I’m a massive fan of up cycling. This chalk board is adorable! Love it! !